WELCOME TO THE NEXT GENERATION OF PERFORMANCE. PERFECT CABLE ALIGNMENT. The all-new titanium eeBrake cable adjuster pivots as the brake is applied, optimizing cable alignment during brake actuation. Also, the cable housing extends to lower tip of the cable adjustment screw eliminating added friction. 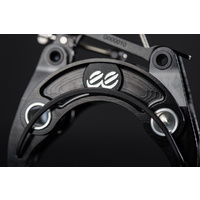 That means, as the brake lever is squeezed, you get even and friction-free braking power. AERODYNAMIC. Cross Cable Path aligns the brake cable over the center of the brake. 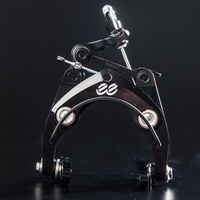 This alignment provides a graceful, clean line and moves cables into the “wind shadow” of the frame, providing an aerodynamic advantage over traditional brakes with their cables and lever arms off to one side of the caliper. EASY PRECISION. 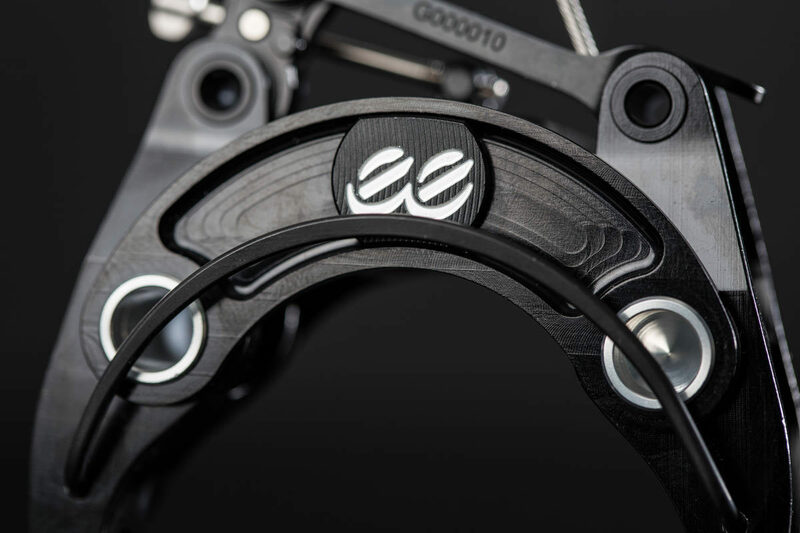 The tool-less adjustability provides super precision and pad motion consistency through the patented “Link” pad travel proportioning system. No annoying pad rub and constant need to re-center. No more re-adjusting the main fixing bolt after initial installation or using spring tensioning screws to align the brake pads. QUICK & SIMPLE. One simple flip of the lever on the Quick Strut release opens wide enough to easily clear a 31mm tire allowing easy wheel removal. 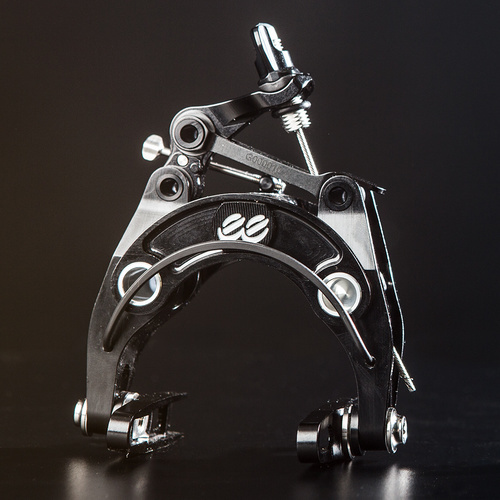 Change pads with ease using our patented system via Shimano style pads allowing for easy pad installation and removal without the use of tools. PERFECT FIT. 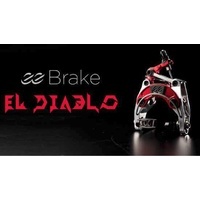 eeBrakes are available in a variety of different configurations and styles to perfectly fit the needs riders worldwide. To determine your bike’s perfect fit or to discus setup options visit your local bicycle retailer or contact us directly.